When asked what single metric is most valuable in tracking their recruiting team’s performance, talent leaders say that quality of hire is what matters most. This is according to LinkedIn’s Global Recruiting Trends 2016 report. The top three methods companies are using to measure “quality of hire” are 1) new hire performance evaluations, 2) turnover or retention statistics, and 3) hiring manager satisfaction. While performance evaluations and retention statistics were nearly tied—at 50% and 49% respectively—as the most commonly used methods for measuring quality of hire, the majority of respondents in the LinkedIn study said they feel there is definitely room for improvement in the way quality is currently being measured. When you consider that some estimates put almost half of all new hires in the category of “failures” within 18 months, the “quality of hire metric” seems to be a pretty important one. 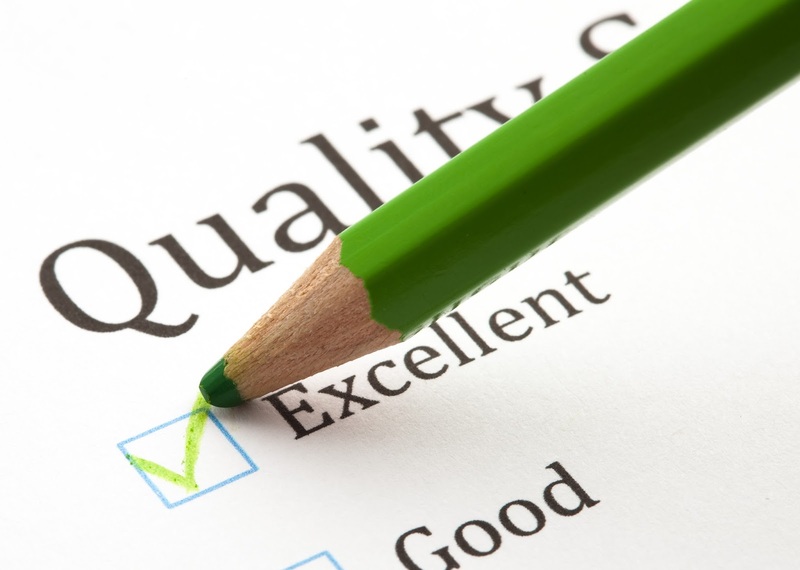 Some suggestions for better measurement strategies when it comes to quality of hire include replacing standard job descriptions with performance objectives. The majority of job descriptions tend to emphasize skills and experience, or talk about competencies in broad behavioral terms. Concentrating instead on ramp-up time, specific end results and definable accomplishments provides a way to actually measure and track success. Since quality of hire denotes the value a new employee brings to an organization, companies also need to be clear about what “value” means to them. Things like employee engagement and cultural fit have become extremely important when it comes to employee retention. 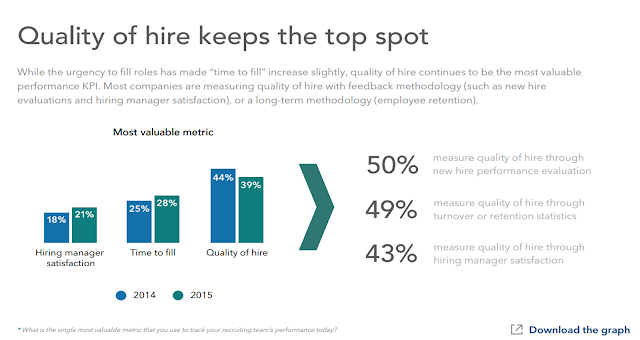 And since retention is one way employers measure new hire quality, recruiters who really understand the culture and corporate brand of the companies they work with, will be the most effective at providing high quality new hires. Speaking of corporate branding, another one of the trends the LinkedIn study reported is that 59% of respondents said they will be investing more in their corporate branding strategy than they did last year. Social media has made corporate branding more important than ever. This is actually good news when it comes to the “quality of hire” issue. A company’s brand is all about its core values, beliefs and purpose. When a company’s branding is really clear, it helps lay the groundwork for ensuring the candidate and company are a good match for each other. Accurately capturing and tracking performance data not only gives you a clear picture of how you’re currently doing on the talent management front, it will also help you continually improve future recruiting strategies. If you have questions about tracking performance data or how to recruit the highest quality new hires, we can help. Call us at 415-835-0202 or email us at sales@talentcircles.com.